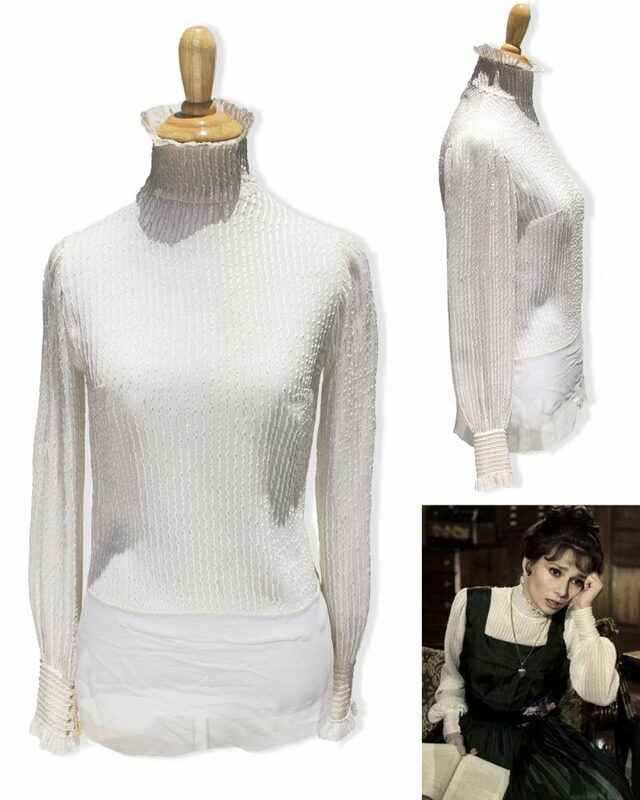 A blouse worn by Audrey Hepburn in My Fair Lady goes under the hammer June 28th with a minimum bid of $25,000. 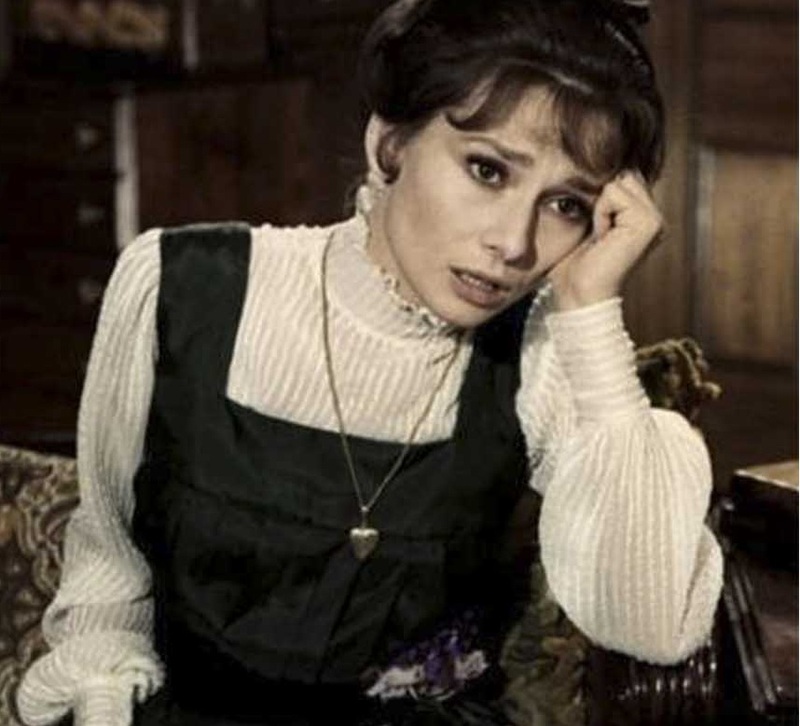 Her “Ascot dress” is one of the most expensive film costumes ever sold fetching $3.7 million in 2011, which may have influenced this valuation after it reportedly sold for just $100,000 around the year 2000. The final price of this blouse will reflect on how a further seven years has affected the market for such memorabilia. The Costume Rag has previously considered if the raising value of film costumes might finally result in better standards for the talented costumers who actually make them. Cecil Beaton won an Academy Award for Best Costume Design for ‘My Fair Lady‘ as well as the Oscar for Best Art Direction with over 1000 costumes requried for the major production. Whether enyone would dare to wear such an artefact or not, the auctioneers have provided the measurements of 13” across the shoulder seams and 27” long from neck seam to bottom. It is in generally good condition having been previously exhibited in exhibtions like Audrey Hepburn: Una Donna, Lo Stile in Florence. Also on sale are photographs of Hepburn by Cecil Beaton at $4000 each. Facing Dystopia With "Into The Badlands"